Large - $67.99 Only 2 left! X-Large - $67.99 Only 7 left! Even Lucio needs a day off. The Overwatch hero spends most of his time blazing through deadly battle-zones, while cranking out some serious jams to help his team out, but on his day off, we bet you can catch him chilling on the patio of his favorite restaurant. Maybe he orders a Bauru, has a cocktail, and then pops his headphones in to listen to the latest tunes. Perhaps he tries to catch up on a little cleaning in his apartment. Or maybe he does a little shopping at the market. There’s one thing we know for sure, though. Lucio definitely isn’t wearing his battle garb on his day off. He’s more likely wearing something like this comfortable hoodie! 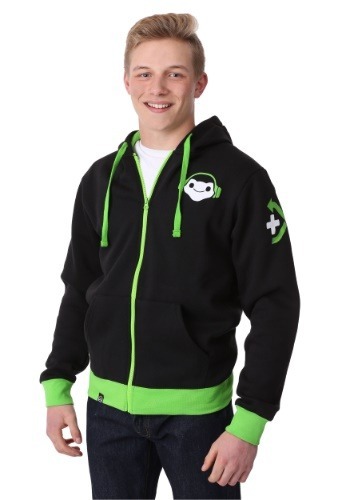 This Overwatch Lucio ultimate hoodie is a stylish way to dress like Lucio during a casual day of hanging out on the patio. The black hoodie is made out of a comfortable cotton and polyester blend. It has bright green accents around the cuffs and waist and it also has the Frog player icon on the chest. 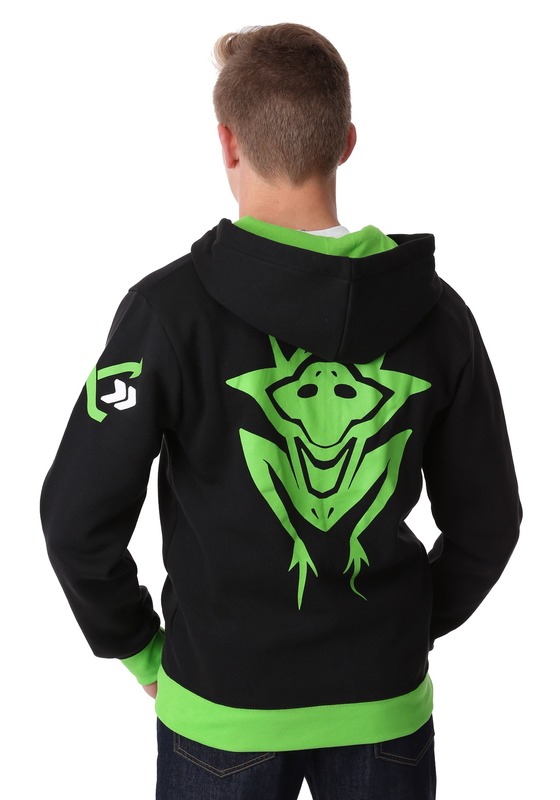 This hoodie is must-have apparel for any Lucio fan. It’s the best way to get his style without having to wear a pair of crazy skates on your legs!